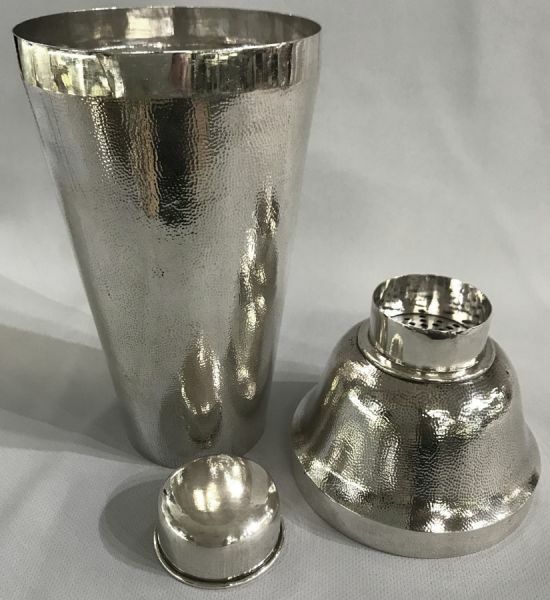 Chinese Export sterling silver cocktail shaker. It has a peen (hammered) finish, giving it the texture of orange peel. 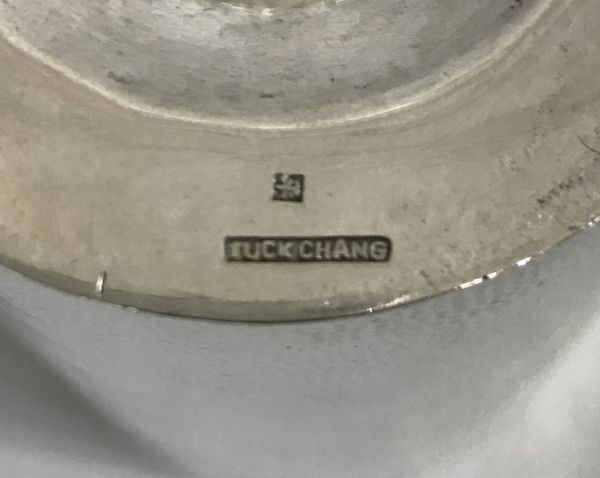 Made by Tuck Chang & Co., 67 Broadway Rd., Shanghai, China, circa 1920. 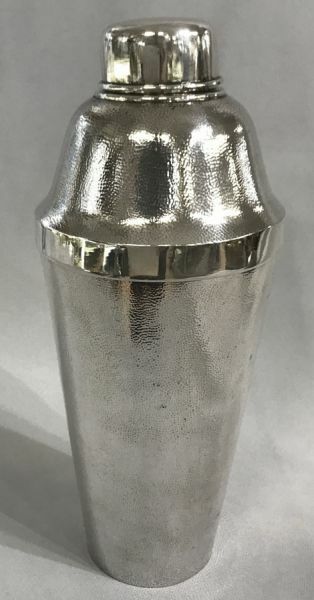 9 1/2” high, 4” diameter.